1. Son of Ammishaddai, chief of the tribe of Dan in the second year after the Exodus (Num. i. 12), who brought his offering to the dedication of the Tabernacle on the tenth day (Num. vii. 66-71). 2. 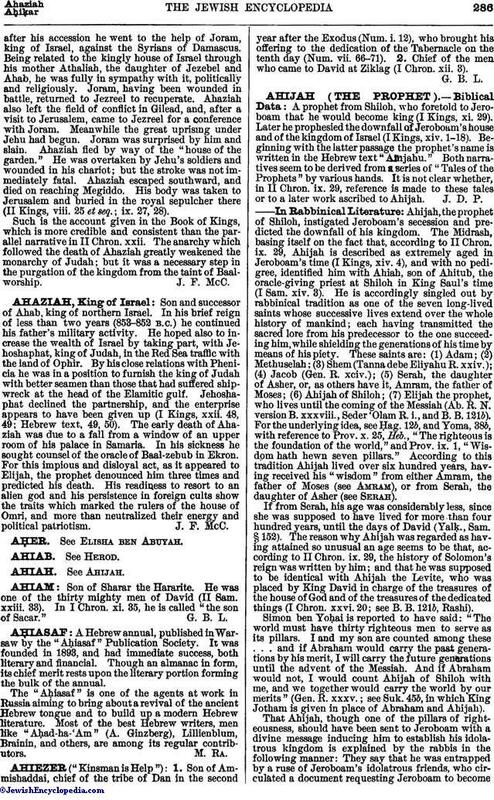 Chief of the men who came to David at Ziklag (I Chron. xii. 3).